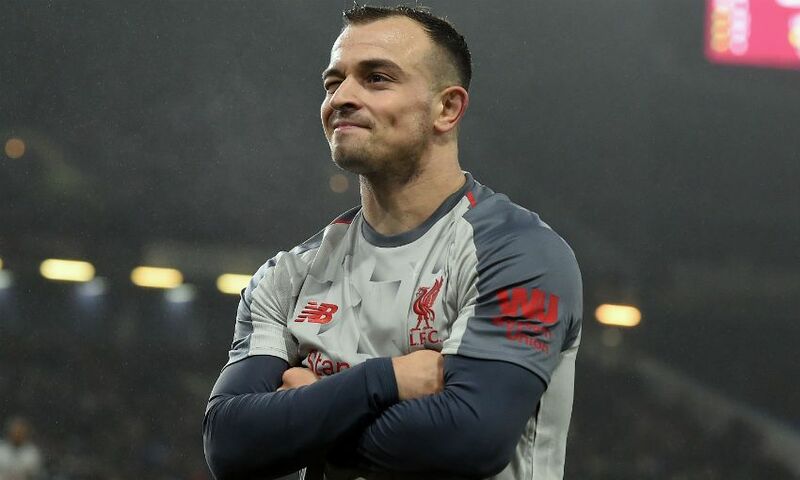 Sustaining the ‘winning mentality’ they have cultivated so far this season is key if Liverpool are to achieve their ambitions, Xherdan Shaqiri believes. The Reds sit four points clear at the top of the Premier League having lost just one of their 22 top-flight matches so far this term, and have a last-16 tie with Bayern Munich on the horizon in the Champions League. Shaqiri is well-versed in the art of winning trophies from his spells with FC Basel and Bayern, and the Swiss knows there can be no let-up in terms of attitude and application as the campaign moves towards its conclusion. “Obviously the coach tries to take the pressure always out of the players, that’s pretty normal, but if you see you have a chance to go through to win something then you have to take this mentality in you and to bring it on the pitch,” the No.23 says, on the latest edition of LFC Later. “Until now, how we worked was very, very good and everything [was] top, but we have to keep going until the end. That’s the difficulty. “I think the mentality, every single player here has to have the winning mentality. Even if you don’t play you have to believe this and to make a winning mentality in the dressing room. First of all to win games and to go on the pitch and say ‘we just want to win this game, nothing else’, that is very important. “You also have to be patient sometimes [like we were in] many games we had this season. You can see how mature the team is because you learn a lot from these type of games. Watch Shaqiri star on the latest episode of LFC Later at 9pm GMT on Thursday on LFCTV or catch up on demand on LFCTV GO.